How do you get affiliates across the country to carry a new network no one has heard of? When Comedy Central officially launched in 1991, there was no “South Park”, no “Chappelle’s Show” and no “Key and Peele.” An introductory promotional mailer sent to affiliates had to inform while generating excitement, and get people talking about Comedy Central. The channel always conveyed a fun and irreverent sensibility through its brand, so I saw an opportunity to create something more entertaining than the typical 8 ½ x 11 one sheeters other cable companies were sending out. I led a multi-disciplinary team of designers, copywriters, illustrator, 3D production artists, and printers to create a compelling 3D brochure. The mailer unfolded to reveal a 20 x 30 poster-sized 3D tour of the channel’s programing schedule. 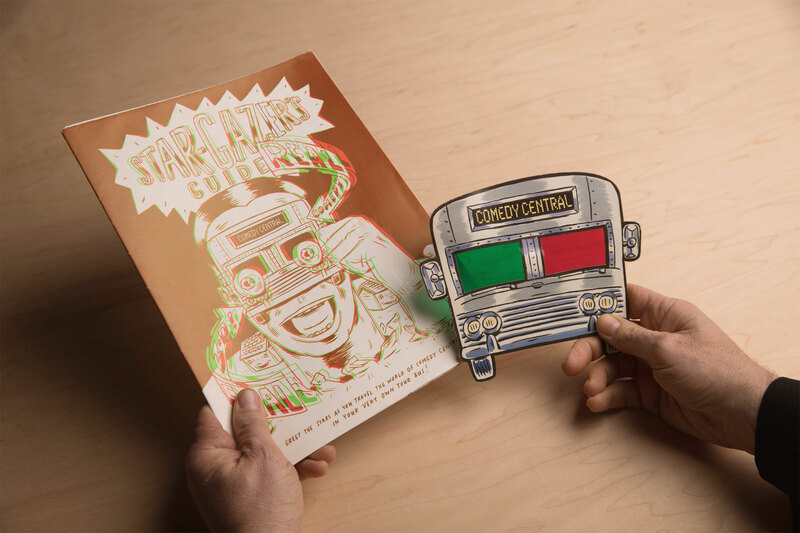 Shipped out to affiliates with accompanying 3D bus glasses, the “Comedy Central Star-Gazer’s Guide” delivered important information in a unique and unconventional way. The “Comedy Central Star-Gazer’s Guide” stood out in a sea of boring competitor one-pagers, creating excitement for cable affiliates and advertisers, and buzz for the Comedy Central brand. 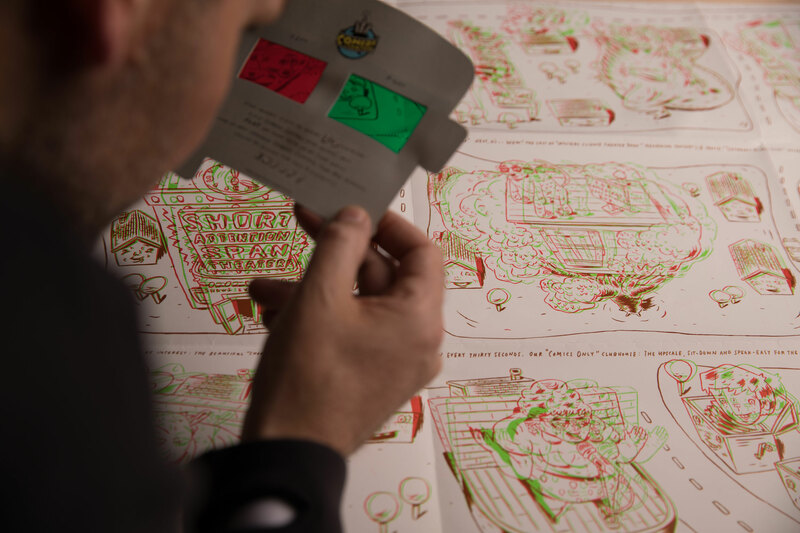 The award-winning creative execution exceeded company expectations and was featured at the Franklin Institute.